Acute Kidney Failure is a medical condition, in which a rapid decline is the kidney’s ability to clear the person’s blood of toxic substance, causes the metabolic waste product collection, such as urea in the person’s blood. Acute Kidney Failure may be caused by any conditions which reduces kidney blood supply, obstructs the urine flow after it has left the kidney, or kidney injury itself. Acute Kidney Failure may be caused by toxic substances such as poisons, drugs, antibody that react against the kidney, and accumulation of crystals in the urine. Symptoms of Acute Kidney Failure are based on underlying cause, its progression rate, and on the severity of the disease. 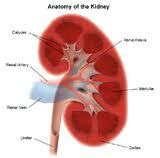 The conditions, which lead to the kidney failure frequently produce severe symptoms unrelated to the kidney. For instance, shock, high fever, liver, heart failure can happen before kidney failure. Kidney failure may be caused by hydronephrosis resulting from urine’s flow obstruction. The urine backup within the kidneys, results in renal pelvis (urine accumulation part) to stretch, creating crampy ache. Approx 10% of the individuals have blood in the urine. A doctor suggests Acute Kidney Failure when urine output reduces. 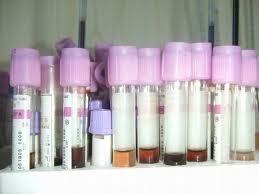 Blood tests that measure urea nitrogen and creatinine levels, help determine diagnosis. At the time of a physical evaluation, a physician assesses the kidney to define whether it is tender or enlarged. Kidney’s major artery narrowing can create a bruit (rushing noise) that may be heard through the stethoscope. 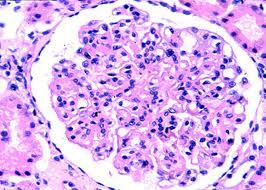 Laboratory test may help pinpoint kidney failure degree and causes. If an Acute Kidney Failure is resulted from urinary obstruction or inadequate blood supply, the urine usually seems to be normal. But if the failure is caused by a problem within the kidneys, the urine can consist of white and red clumps or blood. The urine can also consist of abnormal protein amounts or abnormal protein types. The blood test usually reveals abnormally high creatinine and urea levels and metabolic imbalances including acidosis, hyponatremia, and hyperkalemia. X-ray and CT (computed tomography) scans may be also helpful. MRI is performed if intravenous urography seems to be dangerous. 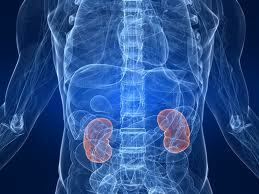 Acute Kidney Failure is frequently treated successfully. The treatment of the kidney failure consists of monitoring fluid intake (water intake is limited); glucose, specific amino acids or highly concentrated carbohydrate feedings are given intravenously or orally to maintain adequate levels of the protein. Such medications as certain Antibiotics and Digoxin, should be limited. 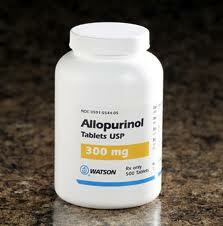 Antacids can be taken to prevent phosphorus blood level from rising extremely high. Sometimes, Sodium Polystyrene Sulfonate is taken rectally or orally to treat a high potassium level in blood. Dialysis is required in severe kidney failure to control the symptoms and prevent serious injuries to other body’s organs.